Louterwater Estate was bought by the renowned minister of agriculture and waterworks, Minister PK Le Roux, in 1961. However, PK Le Roux never lived on the land, he saw 60hectares worth of potential. His grandson, Pieter Le Roux Muller, lived and worked on the land since 1977 and when his grandfather passed he took responsibility of the land. Pieter Le Roux Muller developed such a love for the land that over the following years he managed to buy out the shareholders and become the sole owner of Louterwater Estate. Le Roux married his wife, Dalena Marais, in 1977 and two short years later their only son, Cornelis Johannes Muller, was born. Their family grew over the following years and three lovely girls, Elizabeth, Annette and Dalene graced the estate. In 1984 Le Roux enhanced the infrastructure of the land by adding a pack shed and cooling facilities. In 2002 Cornelis permanently joined his father on the estate and together they reached great heights. 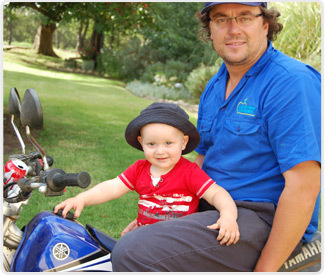 In 2008 Cornelis married Janine Loubser and two years later their first son, Pieter Le Roux Muller, was born. 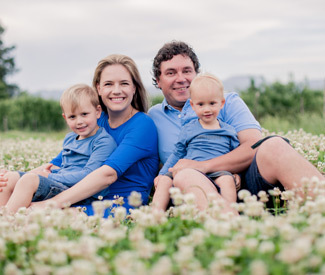 In July 2012 Cornelis and Janine celebrated the arrival of their second son ,named after Janine's father, Hugo Nicholas Muller. Together they extended the farm to 180hectares of apple and pear orchids. 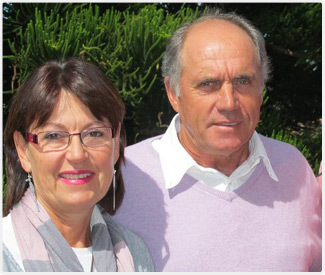 Le Roux and Dalena Muller has since exchanged orchids for waves and now reside in Jeffreysbay, a short drive from the farm.